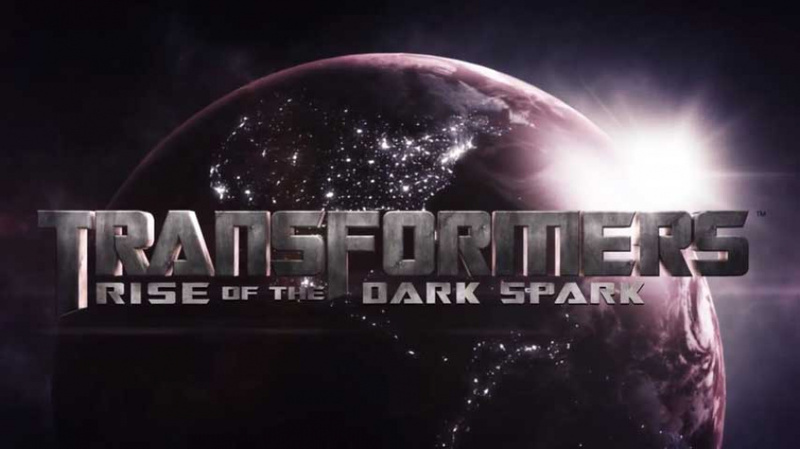 New details on Activision's latest Transformers title, Rise of the Dark Spark, have emerged in the most recent issue of Game Informer, including the first basic information on WayForward's 3DS version of the game. WayForward is best known among Nintendo fans for its Shantae and Mighty Switch Force! series, and the 3DS iteration will be a grid-based tactical RPG in the vein of the popular Japan-only (for the most part) Super Robot Wars franchise, with over 50 playable Transformers to choose from. 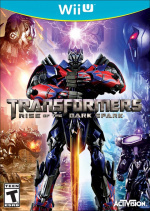 The home console and PC version of Rise of the Dark Spark will take place in both the movie-based Transformers universe and the video game universe based on 2010's War for Cybertron and 2012's Fall of Cybertron games. The Movieverse half of the game will take place during and after the events of the upcoming Transformers: Age of Extinction film. The Cybertron half will take place before the launch of the Ark in Fall of Cybertron; the home console/PC version's gameplay will follow in Fall of Cybertron's third-person shooter footsteps. This will be Texas studio Edge of Reality's first entry in the series, after High Moon Studios' surprisingly well-received Transformers trilogy. Edge of Reality will try to build off High Moon's legacy, introducing a new "Unified Levelling System" where unlocks and experience points are universal between the main campaign mode and Escalation mode. In Escalation mode, there are now "Power Foe" boss characters who will appear if you last long enough. Escalation will also feature "Hacks," customisable settings like higher enemy health, or every robot becoming a massive explosion upon death. Transformers: Rise of the Dark Spark will be available on 3DS, Wii U, PlayStation 4, PS3, PC, Xbox One, and Xbox 360, with a summer release to coincide with the Transformers: Age of Extinction movie. Are you considering picking it up on Wii U or 3DS? The 3DS version sounds interesting. I'll keep an eye on it. I hope it'll be on the eShop as I've gone digital download only. I'll keep an eye on this one. If the 3ds will have online, day one for me. If not, I'll probably get it on Wii U.
I love Transformers and while i'm worried about the inclusion of the Bayverse into the War/Fall of Cybertron series i'll be picking this up day 1 for Wii U if the port holds up and it has asynchronous or local MP via the gamepad, i'll likely get the 3DS version too if it turns out well as it sounds interesting. You know Activision does not bring many games to the table but so far they have brought all of their major franchises to the wiiu. Honestly that is more than I can say about Ubisoft. They can't get any points by bringing out a game after every other console and exclude major features and DLC. @Dragoon04 Just like what Activision do with Call Of Duty? Anyway all I've heard about is single player and Escalation mode but I really enjoyed the Multiplayer in FOC (apart from the over powered Scientist). Is this going to have competitive Multiplayer as well? @gspro15198 I don't think Activision believe in putting games on eShop. It's been a while since I played a Transformers game. Very interested. I've gone all digital though, so I will have to see what Activision has planned with that. The COD series isn't available digitally, so my expectations for digital are low. Transformers, SRPG? Ok, I'm interested. Well, FOC and WFC were amazing but let's see how edge of reality handle it. High Moon made a great universe based on the cartoons but the real world setting worries me. Edge of reality did make Loadout though which is a rather fun 3rd person shooter, so they should do well. also a correction, High Moon didn't make a trilogy, but rather two games in one series (WFC+FOC) and Transformers dark of the moon, which was terrible and based of the movieverse. at least i think so anyway you could still class it as a trilogy because there were 3 games they made. @gspro15198 Digital download only? Why is that? I'd rather have a physical collection to show off. The 3DS version sounds more appealing to me than the console version, actually. I'm totally excited for these games and plan on getting both versions. Can't wait! @memoryman3: So? It's a turn based strategy w/ transformers powered by wayforward. Guaranteed hit, hello. Wow, all this game is a copy an paste of High Moon's games, it deserves to fail, because no effort has been put into it, they've killed of any other possible HMS games with merging Bayverse with HMS's games, it's a terrible decision. 3DS version is grid-based strategy RPG. Like Fire Emblem or Final Fantasy Tactics. Not exactly your online type of game. I'm not one for movie tie-in games. HOWEVER. However, grid-based SRPG by Wayforward on 3DS? Um, yes, yes and yes. Now they're speaking my language. I'm getting it for PS4. I really glad to know that it's a "what if" during War for Cybertron, and not a continuing the Cybertron story. @JaxonH - Yeah, a grid based SRPG sounds good, and I'm impressed with Wayforward's work on many projects. However...I'm skeptical about giving my money to anything associated with those god-awful movies. @memoryman3 : Just remember that Wayforward did Ducktales Remastered, Shantae, Mighty Switch Force, and are capable of great games...when they are given the time and resources to make them. If Wayforward puts out garbage, it's likely for lack of funds or meddling from the license holder . We know they are capable of great things. If the Wii U version gets a good review then I will be all over it! I would love a good Transformers game! @JaxonH Grid-based? The 3DS version? Awwwww man I find no other type of game less exciting..... How disappointing. Hope it turns out like THOR DS, crushing all the other versions! I think the most important question we should be asking here is exactly how is a magazine like Game Informer still in print where other mags like Nintendo Power and EGM have bit the dust?? Really? You never played games like Fire Emblem, Final Fantasy Tactics or Ogre Battle? I used to think the genre was dull myself, until my brother explained it to me as being like a game of chess, only much more intricate and strategical. Should play Fire Emblem Awakening. That was the game that really sold me on the genre. But if you own a Vita you should grab Jeanne d' Arc (PSP) from PSN. That is one of the all time greats as well. If neither of those games can sell you on SRPG's, nothing will. @JaxonH Well its funny because i love chess in real life, but for some odd reason i just find this type of game so boring even though i know they tend to have great stories and content. I may be a little ADD or something. I tried Fire Emblem and hated the demo (also hated the old ones). The same with Project X Zone. I wanted to love Project X Zone so much because of the character roster but even that didn't sway me on the genre. I guess mainly for me, regular RPG's take so long to get through as it is, even though i love most RPG's games (currently playing Bravely Default, Tales of the Abyss, and Pokemon X), but with SRPG's i feel held back or suppressed as a player when they restrict my movement like that. My free time is priceless to me and if i put it into video games, i need a sense of accomplishment or progression. Something i just can't gain quick enough in SRPG's before i lose patience, unfortunately.